An NHS homeopathic outreach clinic in Devon is to close three years after it first opened. The University Hospitals Bristol NHS Foundation Trust which runs the service in Cullompton said demand was falling in the county. Patients who use the centre for treatments for conditions including rheumatism and allergies have reacted angrily to the news. The trust said patients would be offered continued care in Bristol. Greta Rankin, from Willand, is one of the patients against the closure. She said: "They will lose all that personalised expertise. The approach of the homeopathic doctors is completely different. If I want to continue I will have to go all the way to Bristol." Patients from Cullompton would face a return trip of 132 miles if they take up the treatment offered in Bristol. A formal date for the closure of the outreach clinic has not been announced, but patients believe it will happen in January. The clinic is a satellite service from University Hospitals Bristol NHS Foundation Trust. There will be no job losses as a result of the closure. It said it had worked with commissioners to ensure that the size of the service was appropriate for the current levels of demand, which have fallen over a number of years. Clive Oakley, the chairman of the Friends of Bristol Homeopathic Hospital, said: "In these days of cutbacks in the NHS you can hardly blame them saying we can't keep it open because we're just not covering the costs." Mr Oakley believes many of the current patients will travel to Bristol as the team who currently come to Cullompton are "very well respected." 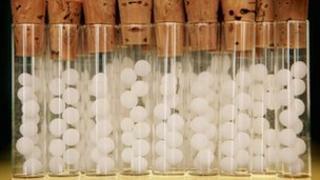 Should the NHS pay for homeopathy?